When Murray first told me about Exmouth and the Ningaloo Reef, one of the memories retold with special warmth was when he stayed up all night to see turtles hatch. Being originally from the Northwest of America, I likened the experience to the bald eagle hatchlings, but that isn’t something you can see up close – eagles nest high, and the camera feed through the local news is about as close as you can get to the intimate experience. 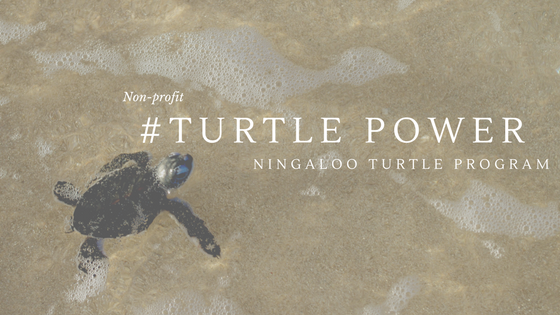 I had the privilege of being the Cape Conservation Group (CCG) liaison this season with the Ningaloo Turtle Program (NTP), and it was a thrill learning more about this program and the history. Originally developed in 2002 by the Cape Conservation Group, it’s defined as, ‘…A community-based marine turtle monitoring program.’ The NTP has grown and is now managed by the Department of Parks and Wildlife (DPAW). It still very much relies on the partnership between the CCG, donors, and annual volunteers. A group effort – orchestrated over several months. The turtle season is usually November – February, sometimes into the start of March. NTP primarily relies on a structure of local and external volunteers. The external volunteers provide the data from intense monitoring for about a month, and the local volunteers provide weekend monitoring on either side of the intense monitoring period. The common thread that joins the CCG and NTP is the goal to spread awareness of turtles, conservation, and appropriate turtle conduct. If you have read this far, you might be thinking, ‘We don’t have access to turtles where I live” Well, you’re in luck, #1 – 3 still apply to you! 1. Don’t use plastic bags – they look like jellyfish in the water, and that is one of the things turtles eat! 2. Dispose of waste thoughtfully, so it doesn’t end up in the water, watch this video for inspiration to give up straws. 3. Don’t purchase turtle products, think tortoise shell jewellery. 4. Follow your local code of conduct when viewing turtles – it’s there you will learn, don’t pick up a turtle. 5. Careful boating – boat propellers make mince meat of turtles insert sad face now. The Reveal: Check out the Our Tours tab on our website. 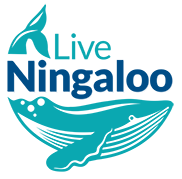 If you book a tour in the month of May 2017, we will donate 10% of your total to the CCG – mention this blog and you’re all set. Please feel free to leave a comment or a question. Check in and cheer us on at: info@liveningaloo.com.au and don’t forget to share this post if it connects with you. Turtles are considered a ‘swimming reef’ carrying on a symbiotic relationships with other species. Turtles are creatures that have been part of the world since dinosaurs. The NTP experienced an above average season aka heaps of turtle hatchlings. They also saw the most tagged turtles return. According to the return records, some of these turtles had 30 year old tags!